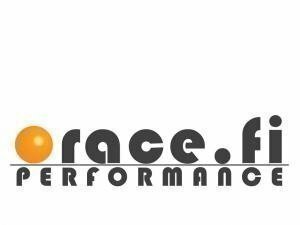 From this category you will find Race.fi gift coupons for yourself of for a gift. There is also "product" which allow to pay customer offers or parts that are not listed in our webshop yet. 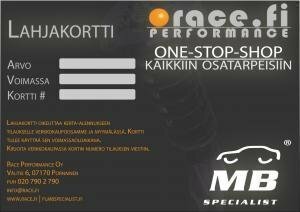 Race.Fi gift card - a proper gift to your hard-core car builder friends and relatives. Delivered to your email. We offer payment plans for orders up to 5000 €. Items in the webshop can be bought directly by adding them to your car. Items like custom parts offers, not available in the webshop can be paid with the product in this category.